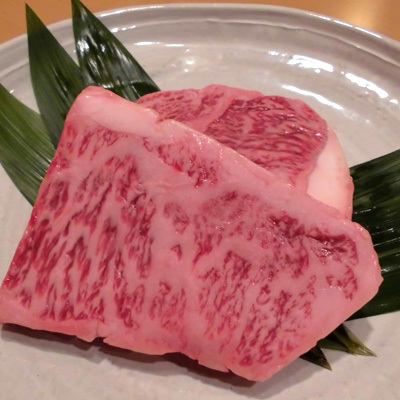 I cooked a special element of Fukuoka. It is a course recommended our shop to. 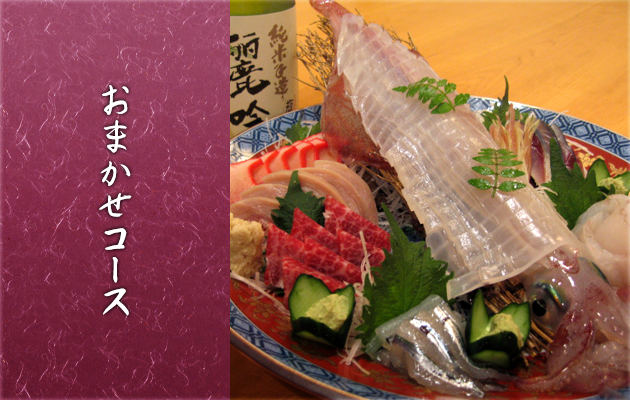 Including sashimi, tempura, dish of the season, these become the contents which can thoroughly enjoy a dish of our store. 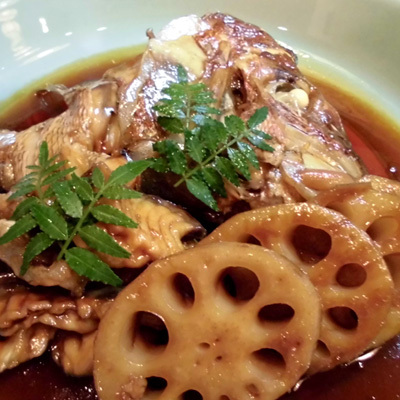 [note] By the ingredients which they supplied on that day, course contents change. "Ara" course. 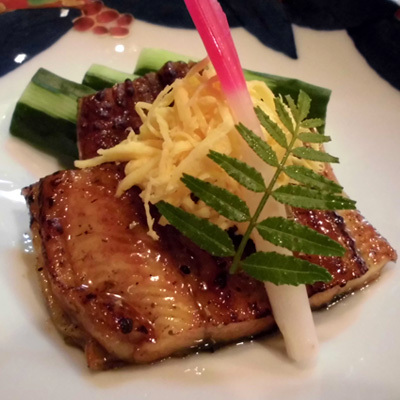 It is winter taste of Hakata. 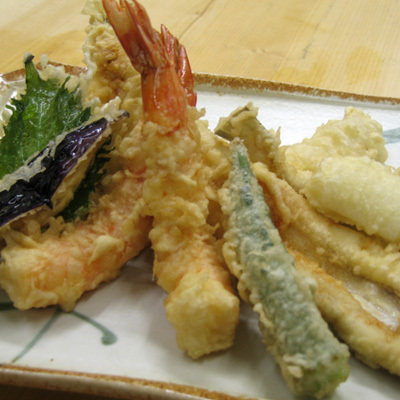 When a sumo drum is audible in the town of Hakata, the time of the winter taste "Ara" will do it when it becomes. 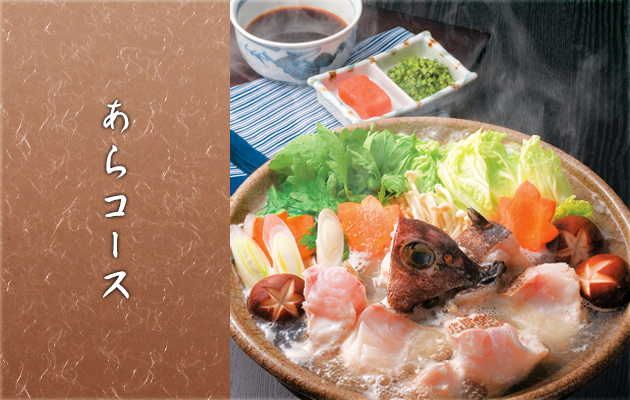 Any recipe is delicious even if I eat with shabu-shabu even if I eat "Ara" with sashimi.However, the most delicious recipe is a nabe. Please thoroughly enjoy "Ara" to the full. ＊When this course is not higher than three people, I cannot order it. Globefish course.It is a limited course only in the fall and winter. As for the globefish, time from autumn to spring is the most delicious.It is because it is the time when the globefish which grew up approaches the Japanese coast for laying eggs. 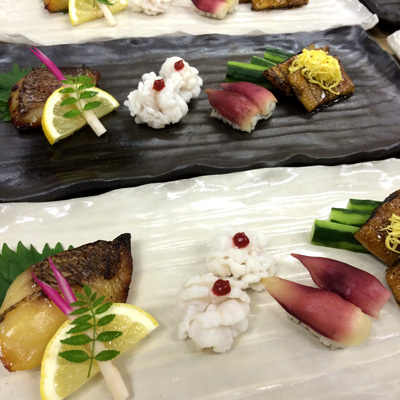 This course is the contents which visitors such as Sashimi, Nabe, deep-fried chicken, Milt, Rice porridge can be satisfied with. ＊When this course is not higher than two people, I cannot order it.